When a fuller historical analysis of the events of these past days and weeks in Britain is written, scholars will point to the most recent European Union summit in Brussels as being one of the defining moments in the entire long-running saga of how the United Kingdom did or didn’t leave the EU. 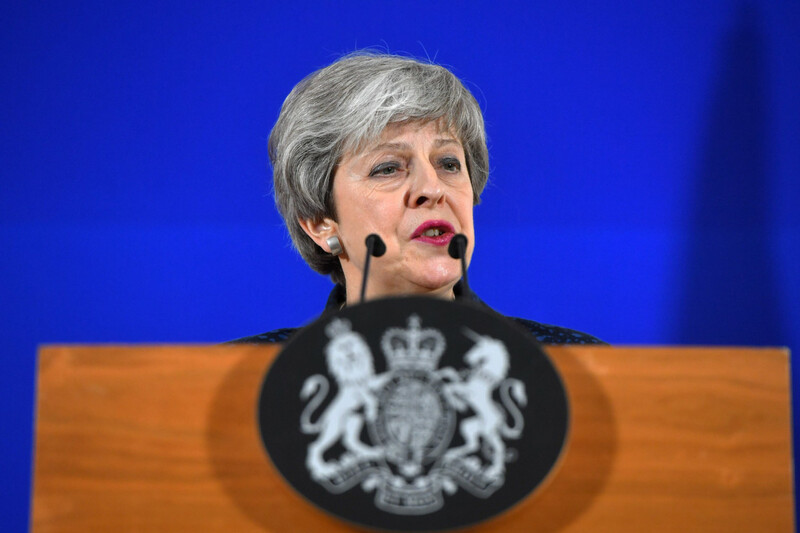 After two overwhelming defeats in the House of Commons at Westminster for the Withdrawal Agreement Bill negotiated over the past two years between the government of the UK and the EU27, British Prime Minister Theresa May was forced to seek an extension to Article 50, moving the UK’s withdrawal date from March 29 to the end of June. That embarrassing request — the result of the confusion and division that reigns within the ranks of her Conservative party, within the ranks of the main opposition Labour party, within parliament itself and outside the Palace of Westminster in a fragmented and divided UK — was met with scepticism from the collective wisdom and leadership of Europe. And instead of that three-month delay as requested by May and after questioning her at length about alternatives, the EU27 decided that both she and her plans were found wanting, and came up with an alternative timeline that put the ball firmly back in the UK’s court — with stringent deadlines and tests that must be met. The EU has given the UK a two-tier extension — a process protecting the EU from the shenanigans in Westminster and allowing it to proceed in an orderly fashion while protecting the integrity of elections at the end of May to the European Parliament. That March 29 Brexit date is scrapped. Instead, they softened the threat of a no-deal divorce until May 22 if UK MPs pass that Withdrawal Agreement — at the third time of asking — by the end of next week. Reject it, and the UK faces a new hard deadline of April 12. Then the British must either cut ties and leave without a deal, or seek a far longer extension of time — but they must commit to participating in those European elections by the end of May. This is an unprecedented time in British politics. Nearly five million people have signed an online petition asking for Brexit to be put on hold, a million took to London’s streets on Saturday asking for a second referendum, and leaked papers show chaos lasting for months in the event of a no-deal Brexit. Indeed, Conservative MPs are in open revolt against May, plotting her end. Sadly, it is ordinary Britons who will pay the ultimate price for this madness.